20 Most Memorable Arrests of Phoenix Athletes, How Often Did Pot Play a Role? 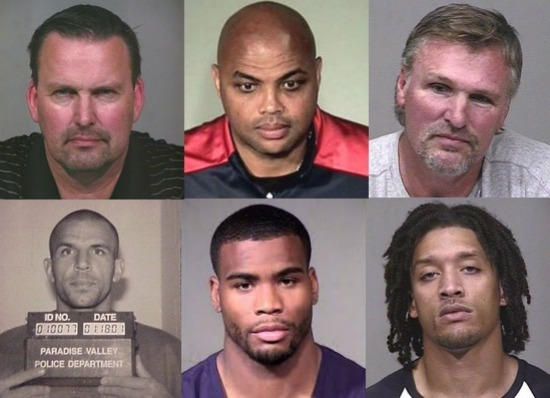 Clockwise, from top left: Mark Grace, Charles Barkley, Tom Chambers, Michael Beasley, Daryl Washington, and Jason Kidd. Local law-enforcement agencies have had plenty of run-ins with Phoenix’s professional athletes over the years. Below, check out our picks for the 20 most memorable arrests of Arizona Cardinals, Arizona Diamondbacks, Arizona Coyotes, and Phoenix Suns athletes. Phoenix New Times has the full list. Adrian Peterson, running back for the Minnesota Vikings and accused child abuser, is finding himself in more hot water this week after admitting that he has smoked “a little weed” while out on bond. Now prosecutors in Montgomery County, Texas, where the charges of negligent injury to a child were filed, are seeking his arrest. Never mind that the NFL has updated their marijuana policy within the last week to allow for more leniency in pot testing punishments, Simpson won’t be playing in Minnesota this year. More at the Minneapolis City Pages. NFL to Raise THC Limits for Players? Toke of the Town 2014. 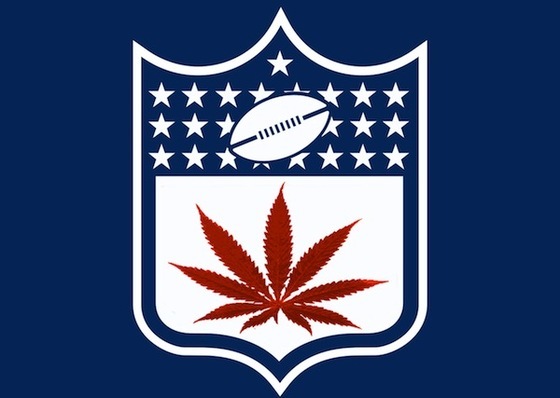 According to sources within the NFL Players Union, the NFL is discussing the possibility of lowering the threshold for a positive THC test to 150 nanograms of metabolites per one milliliter of blood. If approved, that would mean that players could use cannabis pretty much up until the day before a game and still be able to pass the tests – essentially loosening the league’s anti-pot stance. News flash: Plenty of people in Colorado regularly engage in outdoor recreational activities after using marijuana. But the notion of a so-called “Hash Hike,” slated to take place on (we’re pretty sure) Saturday morning on a nearby 14er, has resulted in online vibe-harshing between the Reddit users coordinating it and more traditional climbers. The location for the hike is Mt. Bierstadt, which some describe as being one of the easiest 14ers to summit. Mt. 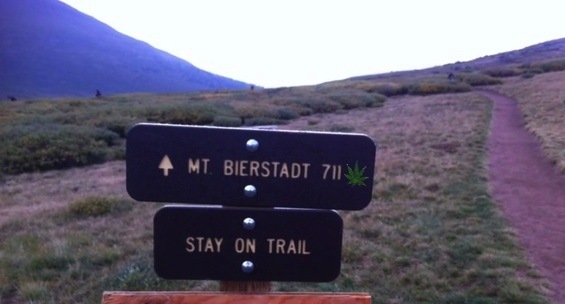 Bierstadt’s accessibility means it frequently draws a crowd. During one reader’s most recent visit earlier this summer, he says people were lined up on the trail waiting for their chance to move even further above sea level. Denver Broncos kicker Matt Prater is being suspended for four games this season for violating the league’s substance abuse policy. And though Prater lives and plays in Colorado (where adult use of limited amounts of cannabis is legal) it wasn’t pot that’s got him benched – it’s booze. Update: As expected, cops in Ross Township outside of Pittsburgh have charged Steelers running backs Le’Veon Bell and LeGarrette Blount with marijuana possession for a three-quarter ounce bag of herb found in their car earlier this week after the pair were caught smoking up in traffic. Bell has also been charged with driving under the influence of marijuana. In Pennsylvania, it’s illegal to have any THC metabolites in your system when driving a car. A third person in the car, 21-year-old Mercedes Dollson, was also charged with pot possession. Cops noted that all three were cooperative and polite, which you kind of have to be when a motorcycle cop pulls up next to you when you’ve got a lit joint going around the car. 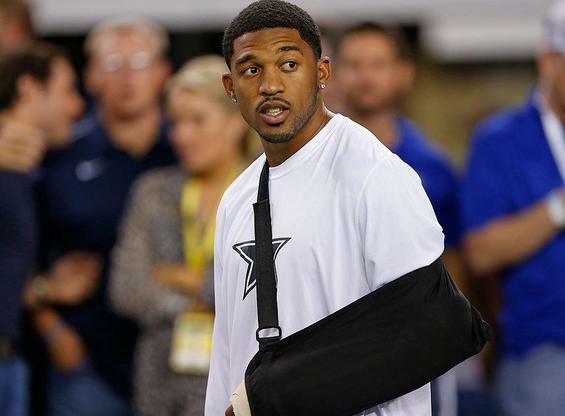 News reports this week indicate that one of the Cowboys’ few defensive bright spots from last season, cornerback Orlando Scandrick, has been suspended for the first four games of the 2014 regular season for violating the NFL’s performance-enhancing substance abuse policy. Scandrick has already lost his appeal in the matter, so it looks like the Cowboys will be stuck with whatever the mercurial Mo Claiborne can give the on the outside for the first quarter of the season. The details of Scandrick’s indiscretion — if his agent and ESPN’s Ed Werder are to be believed — are pretty mundane. While on vacation in Mexico with an ex-girlfriend, Scandrick, or someone in his party, mixed a drug — reported by Werder to be MDMA — purchased from a street vendor into a cocktail he was drinking. More at the Dallas Observer. Last week, Gov. 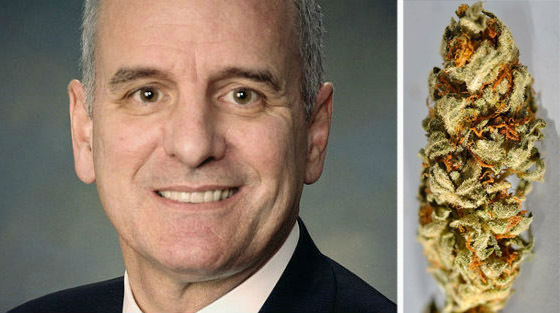 Mark Dayton named 16 people to a task force that’s responsible for evaluating the state’s medical cannabis program. The list is a mixed bag, including eight healthcare providers and four members of the public — but also four opponents from the law enforcement community. Every day in prisons across the country, inmates are scheming to devise innovative, or disgusting, new ways to smuggle in drugs, phones, and other contraband. Every day, surely some of those attempts get busted, but maybe none quite as ridiculous as what happened this past Sunday in Jackson, Michigan. When it comes to ridiculous prison smuggling attempts, there is some pretty stiff competition.